Maybe, you want to know why the continuous waste plastic recycling machine has become more and more popular in the domestic and foreign markets. Let’s tell you the answer now. On one hand, continuous plastic recycling machine can dispose 30-50 tons waste plastics per day and work continuously for 24 hours without a stop. 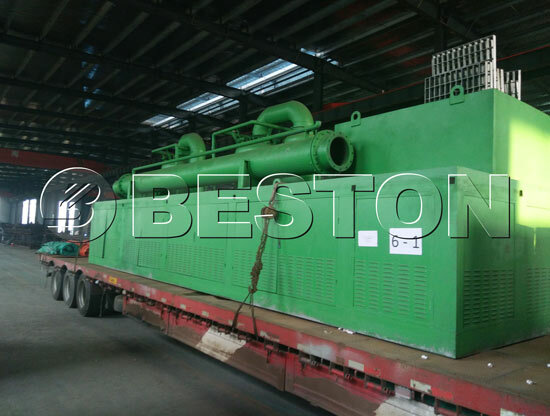 On the other hand, this machine is equipped with automatic feeding and discharging system, which can realize feeding materials on one side and discharging the carbon black continuously from the other side. 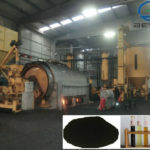 By using this machine, we can get plastic oil, carbon black and combustible gas from waste plastic pyrolysis plant, and these end products are available energy. For example, the pyrolysis oil can be widely used as fuel oil in industries such as steel and iron and boiler factories, ceramics, power or chemical industries or hotels, restaurants etc., or used for generators to get electricity or can be refined into high quality diesel oil by waste oil distillation equipment . The carbon black can be used for making construction bricks with clay, or used as fuel or can be reprocessed into high quality carbon. The combustible gas can be reused as fuel to heat the reactor. 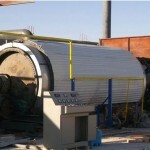 The whole working process has the features of safety, energy saving and environmental protection. 1. 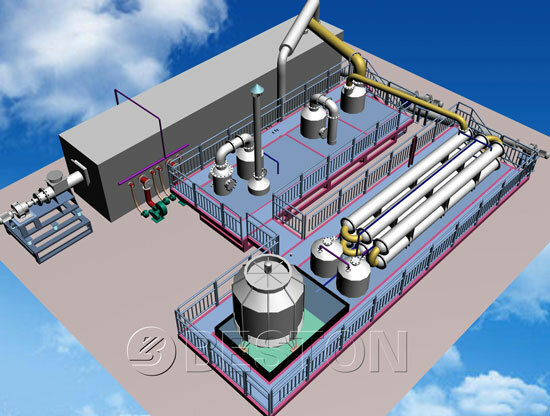 Full-continuous operation; large capacity. 2. PLC operation, saving manpower. 3. 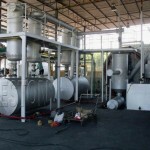 Hot air heating method, increasing the service life of the reactor. 4. 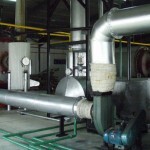 Modular design, saving installation time.